Opis: The Hydra A galaxy cluster is really big. In fact, such clusters of galaxies are the largest gravitationally bound objects in the Universe. 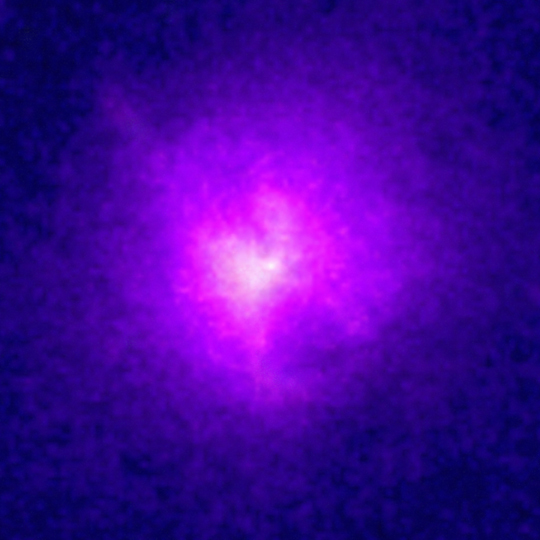 But individual galaxies are too cool to be recorded in this false-color Chandra Observatory X-ray image which shows only the 40 million degree gas that permeates the Hydra A cluster. 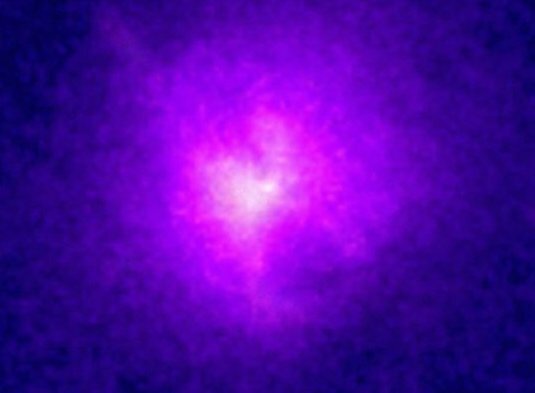 Astronomers have discovered that such X-ray hot gas clouds, millions of light-years across, are common in galaxy clusters. They expected the gas to be cooling and smoothly flowing into the clusters' central regions to form new galaxies and stars. Instead, the Chandra image shows details around the X-ray bright cluster core which suggest that magnetic fields and explosive events disturb the flow, deflecting the gas into loops and long structures and possibly inhibiting the formation of more cluster galaxies and stars.